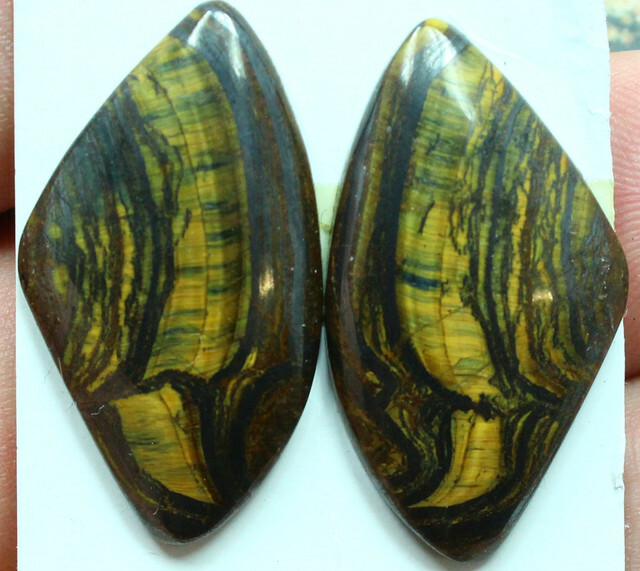 Mustard Jasper is somewhat uncommon as it is currently mined only in Indonesia from the top of an active volcano, making it a special find! 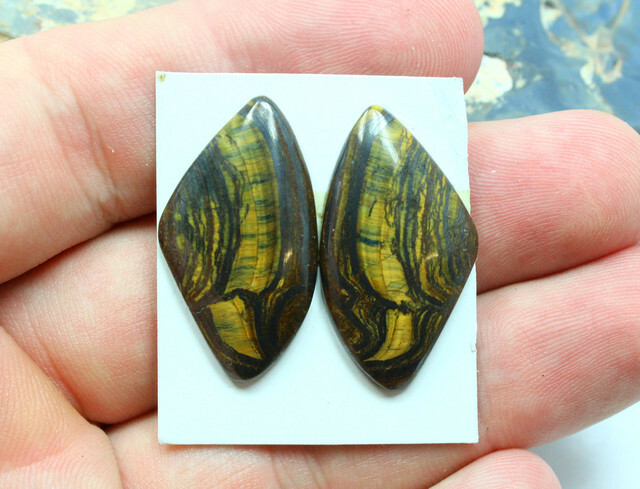 It often is black or gray on the outer layers progressing to a rich mustard yellow on its inner layers. 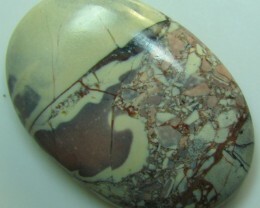 Jasper is formed from Silica and volcanic ash that are deposited and consolidated in the presence of heat and water over time. 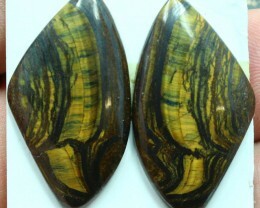 Patterns are created as sediments are layered and then compressed. 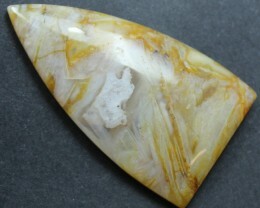 All Jaspers are a form of Chalcedony. 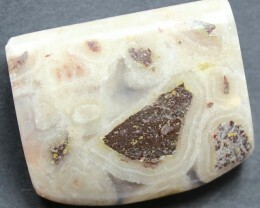 Jasper is between a 6.5-7 on Moh’s scale of hardness. 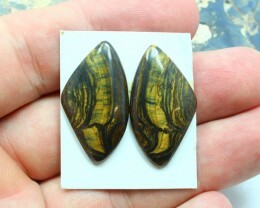 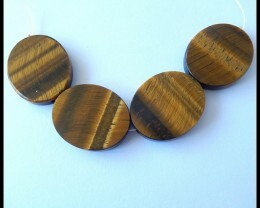 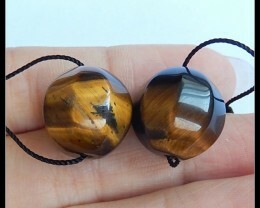 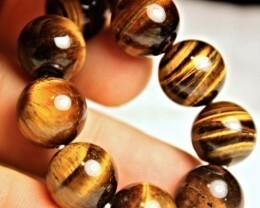 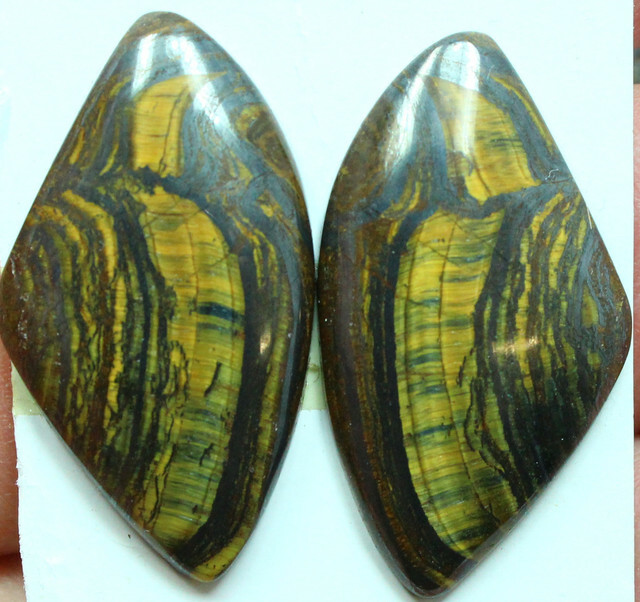 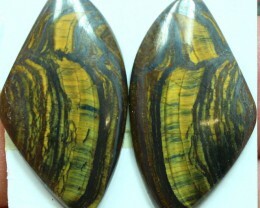 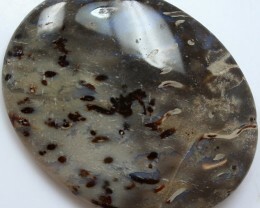 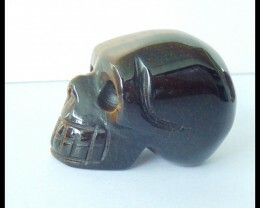 It is opaque and able to take a high polish making it a good choice for cabochon style jewelry.